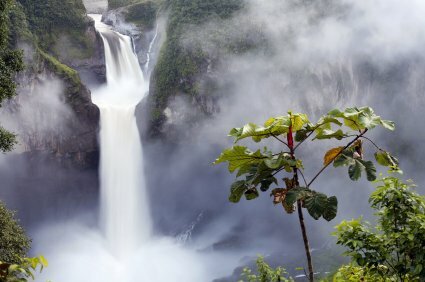 The large number of Ecuador waterfalls isn't surprising in a country of towering mountain peaks and deep plunging valleys. Almost anywhere you go in and around the mountains you will find some waterfall famous in the area. Some waterfalls require quite a hike to see, but you will rarely be disappointed. Others can be seen from the road. On trips from Tena to Quito, my son and I like to pass the time to see who can spot more waterfalls. 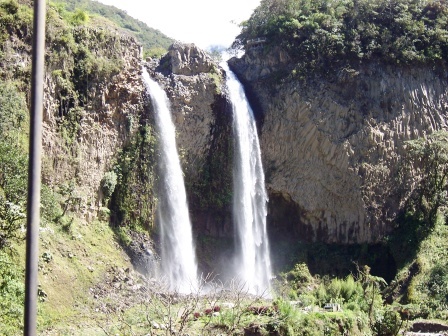 The highest waterfall in Ecuador, San Rafael falls is located between Baeza and Lago Agrio. The view is really impressive. Sadly this cascade is endangered. A dam project upstream from the waterfall threatens the water flow. Check it out while you can. 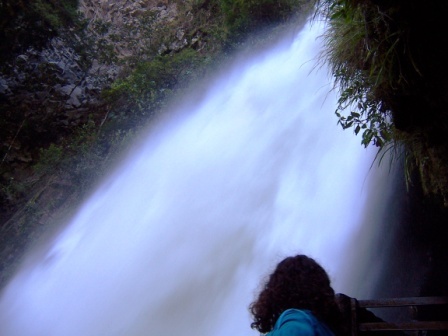 The road between Baños and Puyo has many waterfalls. 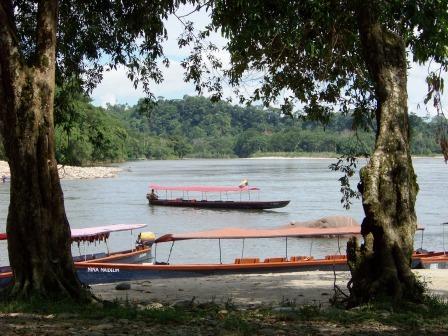 The road is often referred to as the Ruta de Casacadas or the Waterfall Route. My favorite that can be seen from the road is the Manto de la Novia, the Bride's Veil. This double waterfall is super pretty. And you can take a cable car to see it up close. But the most amazing waterfall on this route requires a bit of a hike. Be ready for a great cardio workout! The Pailon del Diablo (Devil's Cauldron) is a must see. Up close you can feel the force of the water...and its wetness. 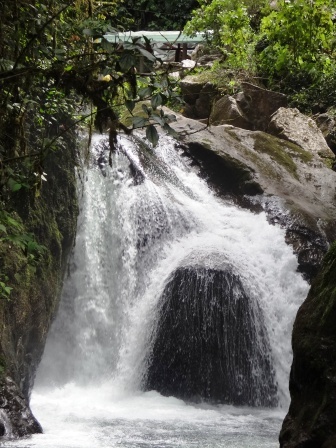 Read about our go-kart trip to the Ruta de Cascadas, Baños. Here's a video from Facebook showing the Pailon del Diablo from the other entrance. The stairs you can see are where I am standing in the photo above. 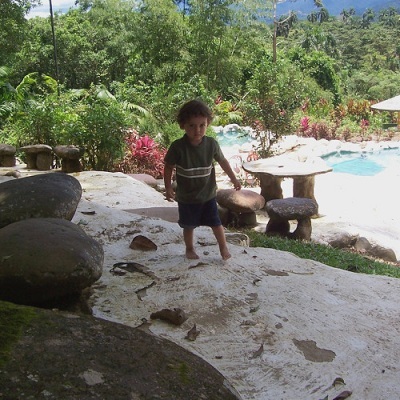 Mindo is another place to check out waterfalls. You can see several on the hiking paths near town. It would take a full day at least to see them all. Bring snacks and water. My favorite is Cascada Nambillo. This is only a small sampling of the many waterfalls in Ecuador. Maybe you have your personal favorite. 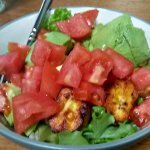 Have a photo of it? Share it with us! You may even win our photo contest!